Perfectly beautiful. 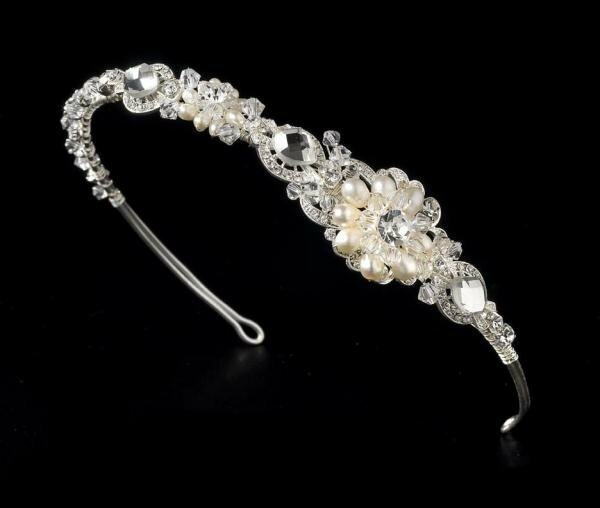 This classic headband features floral sparkling rhinestones and freshwater pearls, all accented with dazzling Swarovski crystals. The side ornamentation updates the classic look, making it perfect for the bride, bridesmaid, or flower girl. The ornamented portion of the piece measures 22 cm x 2.5 cm.